Undoubtedly the best “how to” book on automotive workshops has just been published by S-A Design. Written by Jeff Zurschmeide, How to Design, Build & Equip Your Auto Workshop on a Budget is designed to help the practical hobbyist mechanic make the most of any available space, on almost any budget. Hundreds of tips and examples show everything from ground-up construction, to rodent control, to finishing touches that will take your shop from good to great. 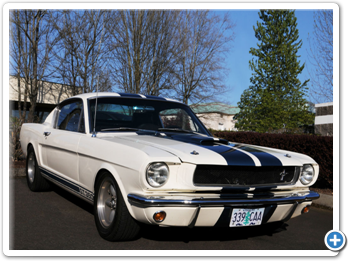 Jerry F. Boone interviews Rob Vanderzanden, owner of this GT350. In the article you’ll also find background information on Carroll Shelby’s Mustang convertsions and Ford’s rush to put the landmark vehicle into production. Restoration for Fun and Profit! Here’s the first of our Museum Profile articles. 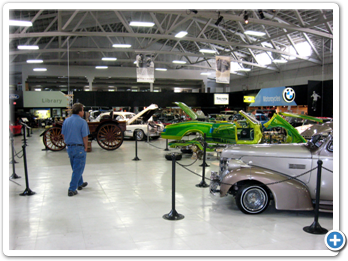 Where is the Collector Car Market going? Learn where to find trend data for your car. Also, an insider’s view of the current market. Award-winning motorsports journalist Jerry F. Boone has contributed a dozen new feature stories to PopularRestorations.com and more are on the way. Where Does the Time and Money Go? 1946 Packard Custom Super 8 Seven Passenger Sedan. Have you ever heard that a complete restoration can take 1000 to 2000 hours to complete or cost more than a new luxury car? This project car will serve as an educational example so you can see precisely where the time and money goes. Click the calendar graphic to see an itemization of the time spent on the Popular Restorations project car. The restoration was done over a two year period and took a little over 1300 hours to complete. 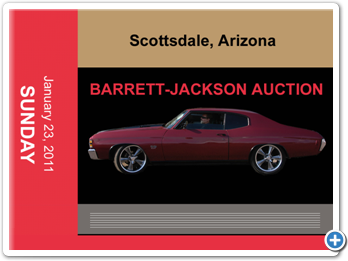 Click the money graphic to see an itemization of the money spent on the Popular Restorations project car. Each article in the Restoration Topics section includes more information on the project car restoration. 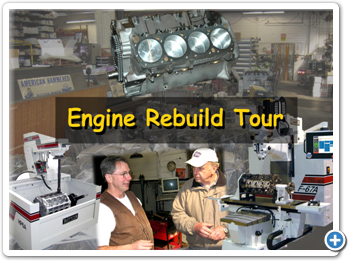 Check out this Illustrated Tour of Portland Engine Rebuilders. See what you might miss by doing the work yourself. Also, over 100 articles and interviews on every imaginable aspect of car restoration (Restoration Topics) and dozens of Featured Cars and Trucks! The first 150 pages of this book are dedicated to the process of finding and deciding upon a restoration project and determining your restoration strategy. This part is covered in detail, and covered very well. The last 50 pages or so cover what to do with your car after the restoration is done, which leaves just over 100 pages to cover the actual work. For example, the chapter on engines assumes that the basic mill is in good shape, and simply covers tuning, carb adjustment, and freshening the engine bay. This is not a step by step mechanical manual - but it offers some of the best coverage on every other aspect of restoration. This book covers it all, from buying a restorable car to the finishing touches. And in between, it touches on every part of the car, from sheet metal repair to engine internals. If you were to have just one book as a guide, this would be that book. The book is photo-rich and provides both procedural details and collected wisdom from experienced restorers. This book won the prestigious 2005 Ken Purdy Award for Excellence in Automotive Journalism. A compilation of the author’s columns that first appeared in European Car magazine, it received critical acclaim and struck a chord with several generations of automotive enthusiasts. Motor Oil For a Car Guy’s Soul Volume II picks up from the first book, entertaining car guys of either gender with a mixture of additional insights, observations, and tall tales.